My goal is to build machine learning models capable of approaching the performance of biological brains in terms of data-efficiency and robustness to perturbations and changes in their environment. Drawing inspiration from adaptation behaviour of biological systems, I study methods for domain adaptation, transfer learning and semi-supervised learning. Besides, I am interested in applications to medical image processing, neuroscience and, as of now, in speech processing at Facebook AI Research with Michael Auli and Ronan Collobert. For my Master’s thesis, I worked on Domain Adaptation in Brains and Machines with Matthias Bethge and Alexander Ecker at the Max Planck Institute for Intelligent Systems in Tübingen and Jakob Macke at TU Munich. In the past, I worked in medical image processing at RWTH Aachen with Daniel Bug and Dorit Merhof on a novel approach for translation-based domain adaptation in histopathological images. I also worked on behavioural tracking for the open-source microscope NeuBtracker with Gil Westmeyer and Panagiotis Symvoulidis at the Helmholtz Zentrum Munich. See my full list of talks and publications below. In our new paper wav2vec: Unsupervised Pre-training for Speech Recognition, we demonstrate that self-supervised learning of acoustic embeddings improves speech recognition over purely supervised approaches and sets a new state-of-the art on TIMIT and Wall Street Journal. Our paper on Multi-Task Generalization and Adaptation between Noisy Digit Datasets was accepted for a poster presentation at the Continual Learning Workshop at NIPS 2018. We just released a PyTorch toolbox for Semi-supervised Adaptive Learning Across Domains (salad) for a fair and reproducible evaluation of current domain adaptation algorithms. The first released version focuses on discriminative domain adaptation on the classic digit benchmark, make sure to check out the code as well as the project homepage! Part of my thesis project with Matthias Bethge, Alex Ecker and Jakob Macke in Tübingen & Munich. I joined Facebook AI Research as an AI resident this October, under supervision of Michael Auli. 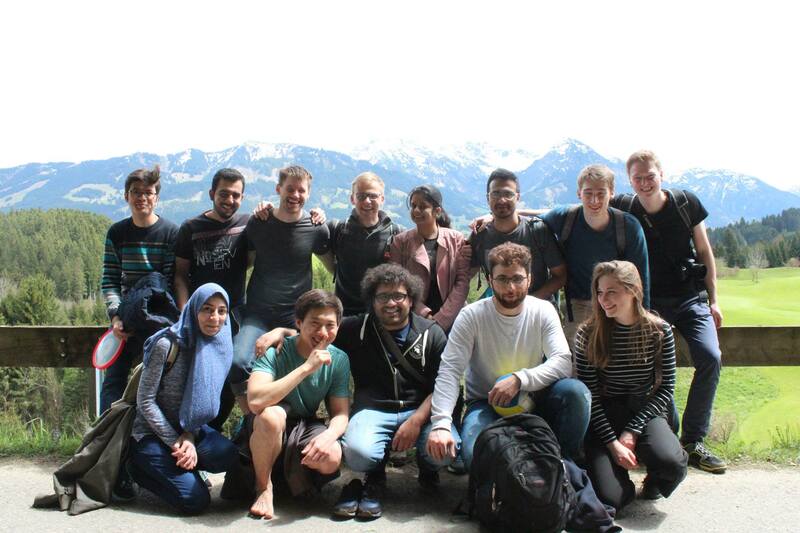 We had a great time at the 2nd Smart Start Student Retreat in Freiburg, with contributions from this year’s Smart Start Students and our invited speakers Michael Tangermann, Radoslaw Cichy and Stefan Rotter. I gave a course on Learning in Brains and Machines at the CdE Pfingstakademie 2018 (spring school). 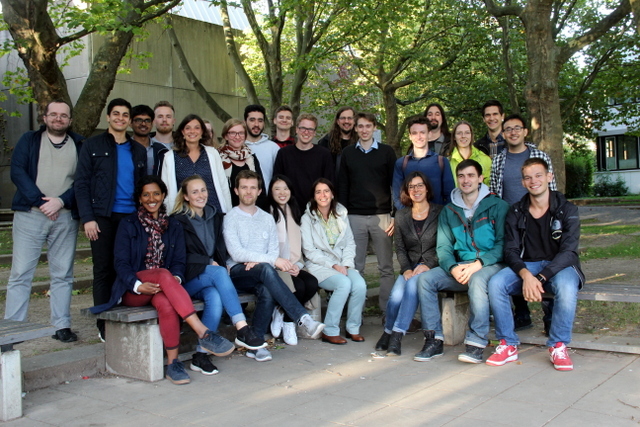 Starting in April, I am joining the Bethge Lab at the Max Planck Institute for Intelligent Systems in Tübingen for my Master’s thesis on “Domain Adaptation in Brains and Machines”. My thesis is supervised by Matthias Bethge, Alexander Ecker and Jakob Macke. I recently gave an introductory talk on Unsupervised Learning at 15x4 Munich. Our paper “Towards Desynchronization Detection in Biosignals” with methods during my internship with Caroline Li and Yike Guo was accepted to the NIPS Time Series Workshop 2018. Our paper on the open-source microscope NeuBtracker was recently published in Nature Methods. Joint work during my Neuroenginnering Master’s with Gil Westmeyer and Panagiotis Symvoulidis. My follow-up work on Feature Aware Normalization for neuroscience applications was accepted for oral and poster presentation at the 2nd HBP student conference. I thank the organizers for providing a travel grant. I am working on neural machine translation and speech processing with Michael Auli. I worked on domain adaptation algorithms and their connections to adaptation mechanisms in biological learning systems. Results will become gradually available at domainadaptation.org. Working in Gil Westmeyer’s group on novel image processing techniques. I work on real-time deep learning based image processing techniques for temporal 2D and 3D imaging data, with the goal of enabling closed-loop cell-circuit-control with spatiotemporal precision and deep tissue penetration in zebrafish. 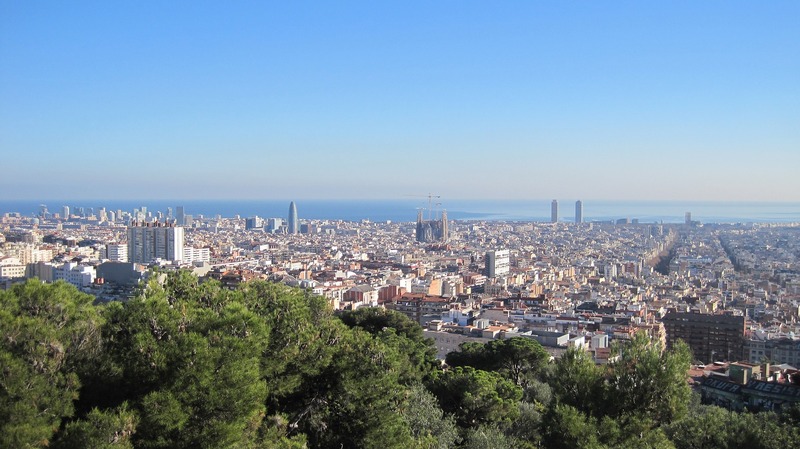 I am currently on a research visit in the labs of Caroline Li and Prof. Yi-Ke Guo and work on unsupervised learning methods for analysis of time-series data such as EEG.Implementation of our approaches is realized in TensorFlow and TensorLayer. Within the ILUMINATE project, I am working on deep learning algorithms for semi-supervised dense classification of histopathological images used in cancer research. Apart from deployment of networks in our software system, I worked on a novel approaches to apply deep learning in contexts with little available labeled training data. Used software packages are mainly Theano and TensorFlow. Development of a software system for automated calibration of 3D camera systems as a preparation for sensor fusion algorithms, using C++, the Point Cloud Library and ROS. 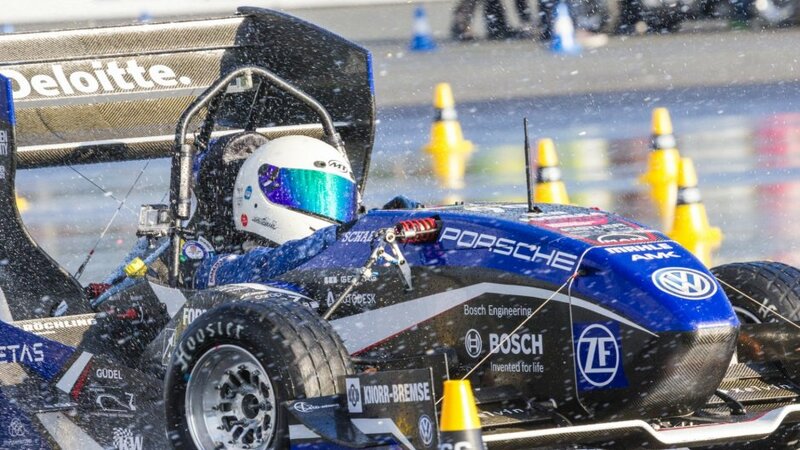 At TUfast, we are developing an autonomous version of a Formula Student Racecar to participate in the Formula Student Driverless competition in Hockenheim. I work in the Sensors and Perception group on deep learning approaches for processing of sensor inputs. I worked on the hardware and software design of data acquisition devices and the battery management system in the Formula Student racecars eace04 and eace05. To provide children in primary school with courses in computer science, I founded IT4Kids in 2013 and build up the student initiative that is still active in Aachen as of now. With our classes, we have reached hundreds of pupils. The project was awarded the 3rd place at the Enactus National Competition 2015 and a winning project in the Google Impact Challenge (awarded 10.000 €). We also started the development of a flexible programming environment for pupils, combining advantages of Scratch and Python. We introduce salad, an open source toolbox that provides a unified implementation of state-of-the-art methods for transfer learning, semi-supervised learning and domain adaptation. In the first release, we provide a framework for reproducing, extending and combining research results of the past years, including model architectures, loss functions and training algorithms. The toolbox along with first benchmark results and further resources is accessible at domainadaptation.org. This study presents a novel data-driven approach to detect desynchronization among biosignals from two modalities. We propose to train a deep neural network to learn synchronized patterns between biosignals from two modalities by transcribing signals from one modality into their expected, simultaneous or synchronized signal in another modality. Thus, instead of measuring the degree of synchrony between signals from different modalities using traditional linear and non-linear measures, we simplify this problem into the problem of measuring the degree of synchrony between the real and the synthesized signals from the same modality using the traditional measures. Desynchronization detection is then achieved by applying a threshold function to the estimated degree of synchrony. We demonstrate the approach with the detection of eye-movement artifacts in a public sleep dataset and compare the detection performance with traditional approaches. A long-standing objective in neuroscience has been to image distributed neuronal activity in freely behaving animals. 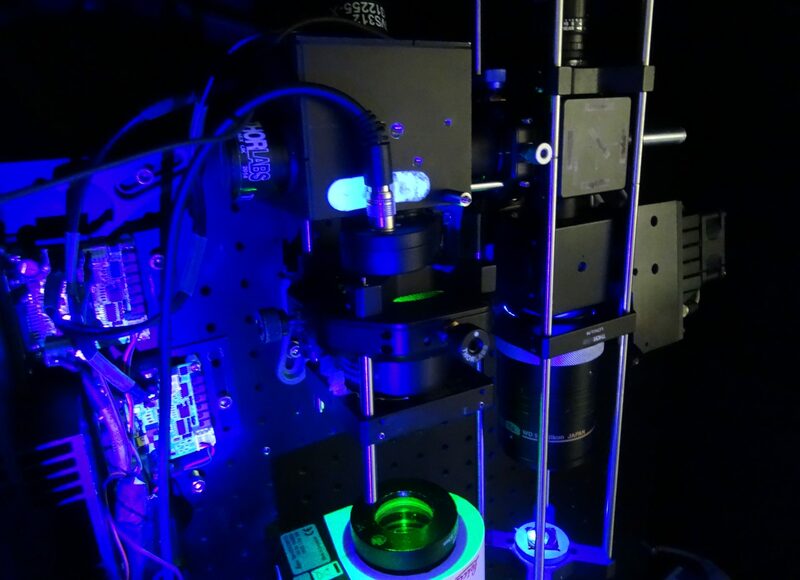 Here we introduce NeuBtracker, a tracking microscope for simultaneous imaging of neuronal activity and behavior of freely swimming fluorescent reporter fish. We showcase the value of NeuBtracker for screening neurostimulants with respect to their combined neuronal and behavioral effects and for determining spontaneous and stimulus-induced spatiotemporal patterns of neuronal activation during naturalistic behavior. While human observers are able to cope with variations in color and appearance of histological stains, digital pathology algorithms commonly require a well-normalized setting to achieve peak performance, especially when a limited amount of labeled data is available. This work provides a fully automated, end-to-end learning-based setup for normalizing histological stains, which considers the texture context of the tissue. We introduce Feature Aware Normalization, which extends the framework of batch normalization in combination with gating elements from Long Short-Term Memory units for normalization among different spatial regions of interest. By incorporating a pretrained deep neural network as a feature extractor steering a pixelwise processing pipeline, we achieve excellent normalization results and ensure a consistent representation of color and texture. The evaluation comprises a comparison of color histogram deviations, structural similarity and measures the color volume obtained by the different methods. Electrophysiological recordings are usually prone to artifacts that are commonly removed by visual inspection and signal decomposition techniques such as ICA in clinical and research contexts. In this work, we propose a generative deep learning model for EEG signals inspired by the WaveNet architecture conditioned on biosignals from other modalities (EOG, EMG and ECG) that are expected to capture relevant context information on artifacts that are simultaneously recorded in the EEG signal. As our main contributions, we show that it is possible to capture non-trivial correlations between time-series from multiple modalities in a fully-convolutional neural network. By dampening the context signals during inference, it is possible to remove the caused artifacts in the EEG signal by (1) generating a possibly uncorrelated EEG sequence from a dampened version of the context signal (2) estimating the context signal’s contribution to a particular kind of artifact and removing this effect from the original EEG sequence, preserving the signal information. In this poster, we present preliminary results on the openly available MASS cohort-3 sleep database, comprising recordings from various patients recorded during sleep. Deep Learning has transformed the ways in which we approach data science and machine learning in a variety of fields and disciplines substantially. Problems in computer vision, speech recognition and synthesis, protein folding prediction and many more fields can now more or less easily be tackled. In this talk, I will give a comprehensive introduction to the recent advances in the field and their relevance to concrete problems in medical and biological applications. As supervised learning in these domains usually falls short due to a lack of data, techniques for transfer learning and domain adaptation between datasets as well as the quantification of uncertainty in deep neural networks. Compressed sensing has proven to be an important technique in signal acquisition, especially in contexts in which sensor quality or the maximum possible duration of the measurement is limited. In this report, deep learning techniques are used to improve compressive sensing in the context of image acquisition. In a previous approach, stacked denoising autoencoders capable of reconstructing images considerably faster than conventional iterative methods were deployed. Apart from reviewing this approach, a possible extension using convolutional autoencoders inspired by the popular VGGnet architecture is discussed. Instead of learning models from scratch, a simple yet effective way for adapting available filters used in ImageNet classification is presented. By reformulation of the autoencoder structure in terms of a fully convolutional network, the previous approach can be adapted to arbritrarly large images for efficient learning of the measurement matrix and sparsity basis. Suggestions on the real implementation of such as system conclude the report. In this thesis, various methods for the design of deep architectures for tissue classification are presented. By using transfer learning and unsupervised feature learning, it is shown that powerful state of the art models with millions of parameters can be finetuned to outperform previous approaches despite the lack of sufficient labeled training examples. Several models such as the 16-layer VGGnet, the GoogLeNet model with some exten- sion, convolutional restrict boltzman machines and convolutional denoising autoencoders were trained on the ILUMINATE-9 dataset. Along with evidence provided on how the training policy for the networks should be designed, a whole model zoo, trained on the ILUMINATE-9 dataset, is provided along with this thesis. Establishing fruitful collaborations between biologists, computer scientists and mathematicians in a yearly one-week retreat. 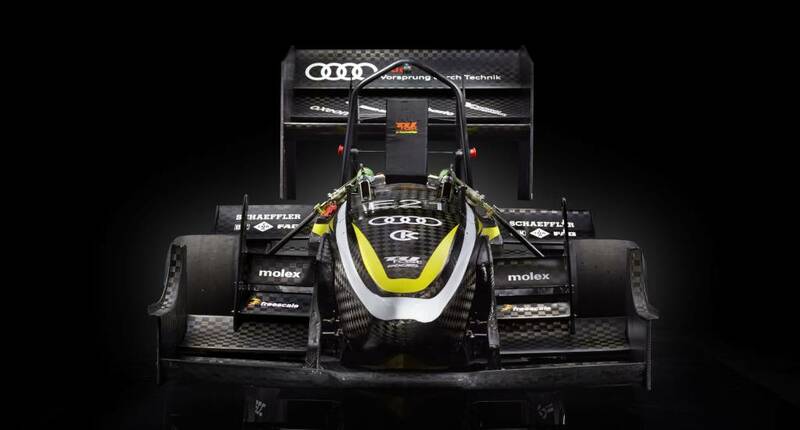 Development of a fully autonomous racecar for the FSG Driverless competition in Hockenheim. M.Sc. 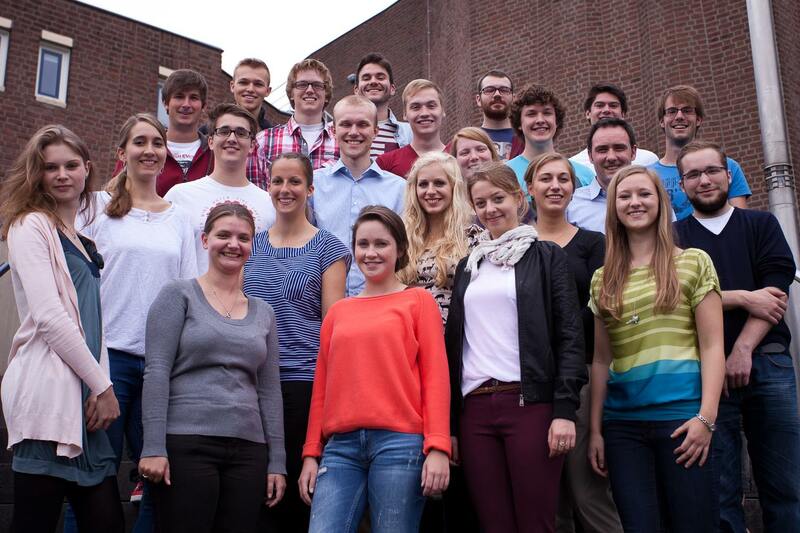 Neuroengineering Student Blog with latest information about our study program and events. ILUMINATE develops a novel platform for integrated analysis of in-vivo models for preclinical evaluation of new compounds in oncology, including innovative therapeutic approaches in oncoimmunology. © 2017 - 2019 Steffen Schneider · Powered by the Academic theme for Hugo.